Rich Chocolate slice…need I say more? I think one of the scariest prospects about starting any new way of eating, such as Paleo, is that of a life without chocolate. #Firstworldproblem surely? Yes, it probably is a problem for spoilt first worlders, but nevertheless it warrants some attention so that anyone thinking they may jump on board can be reassured that there’s no need to give up on the chocolately goodness. It’s just a matter of ditching the totally unnecessary ingredients that are used in commercial chocolate products such as truckloads of sugar. It really is that simple. A couple of years ago, I came across the raw chocolate brand Loving Earth. The chocolate “butter” is incredible. Very rich, very decadent. I used to get mine from Dr Earth in Newtown on their regular discount days. The warmer months are the best time to eat it, as the coconut oil in it is pretty runny, meaning the butter is reaaaaaaaaaaallllllllllllllyyyyyyyyyyy smooth!! 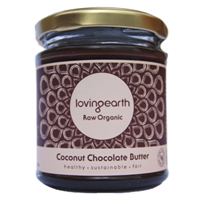 Loving Earth is a conscientious brand with great corporate values to go with their delectable products. I really love seeing how the range constantly expands with really cool authentic products that are sustainably produced. 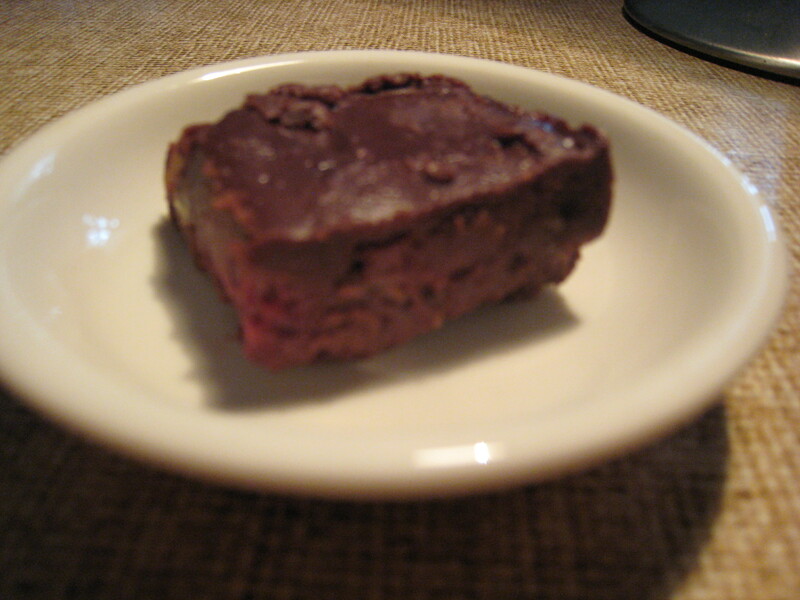 Anyway, back to the point of this post…the chocolate slice. Grease a 24x18cm slice tin with coconut oil (or line with non-stick paper). Preheat oven to 160C. Combine the cacao powder with melted coconut oil. Whip egg yolks with maple syrup/honey til well mixed and creamy. Add the chocolate/coconut oil mix to the maple/egg yolks and stir well. Gently fold in the flour and the nuts until well combined. Add salt to the egg whites and whisk or beat until stiff peaks form. Gently fold the egg whites into the slice mix, add frozen raspberries and transfer to the slice tin. Bake in the pre-heated oven for 20-25 minutes. Remove from the oven and allow to cool in the tin. Store in the fridge.